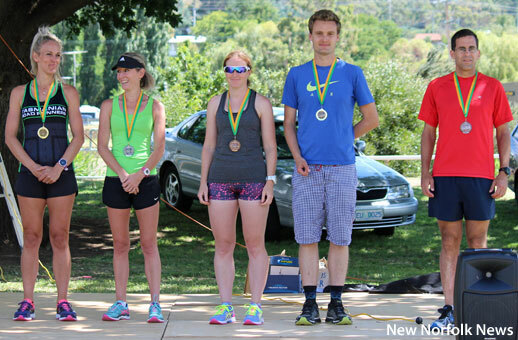 MORE than 200 entrants contested the two events in the Australia Day Fun Run and Walk at New Norfolk on Thursday. The 3.8km fun run and a 700m children's sprint were conducted by the Tasmanian Road Runners for the first time and local officials spoke highly of their organisational abilities. 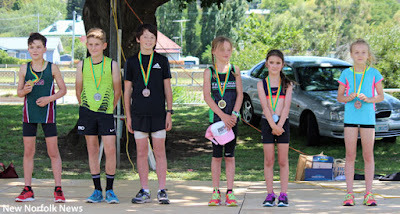 Winners and placegetters from the children's 700m sprint on Australia Day.